If your loved one struggles with addiction, it can be scary, lonely, and heartbreaking. Feelings of helplessness and hopelessness can be paralyzing and getting help for your loved one may seem out of reach. Convincing your loved one to go to treatment is possible and requires you to be supportive, encouraging, and non-judgmental. Tell your loved one why you are concerned, but without making accusations or becoming confrontational. Tone of voice can also imply judgment or shame. Make it a conversation, not an altercation. 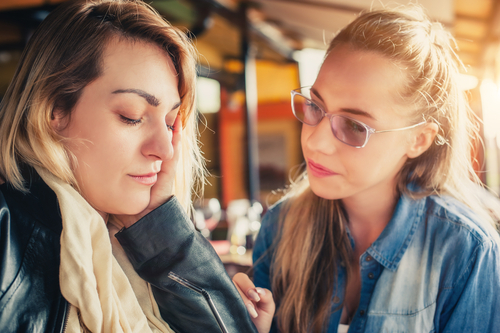 People who live with addiction can feel remorseful, worthless, or have a debilitating underlying mental health condition, such as depression, anxiety, or PTSD. Keep communication open, and use the word “I” instead of “you,” and your feelings will come across less disparaging. Try saying, “I feel so sad and helpless. I want to help you.” This can boost your loved one’s self-esteem and encourage him or her to get help. Coordinate an intervention with family members and friends. Everyone can prepare what he or she wants to say. Intervention can be very stressful and difficult, but it is a great way to express your concern how loved he or she is to everyone involved. After the intervention, your loved one may refuse treatment or they might not be ready. It can be very hard for a person with an addiction to have the determination and commitment to go to treatment. Addiction is so powerful and complex that it makes it hard for someone to stop using. A person’s experiences withdrawals that make them physically sick for days when they stop using. Addiction changes a brain’s control. He or she must make huge lifestyle changes when going through treatment. When your loved one decides to go to treatment, remember to continue showing support and encouragement. Addiction is a hard battle to fight. Learn about addiction and attend group meetings with your loved one. Keep a positive attitude and continue to encourage getting treatment. Recovery is possible and your loved one can enjoy a fulfilling life of sobriety.